The financial sector website news 2018 is a tough year for A-shares. There is de-leverage and trade wars. The Shanghai Composite Index fell 20% in 10 months. 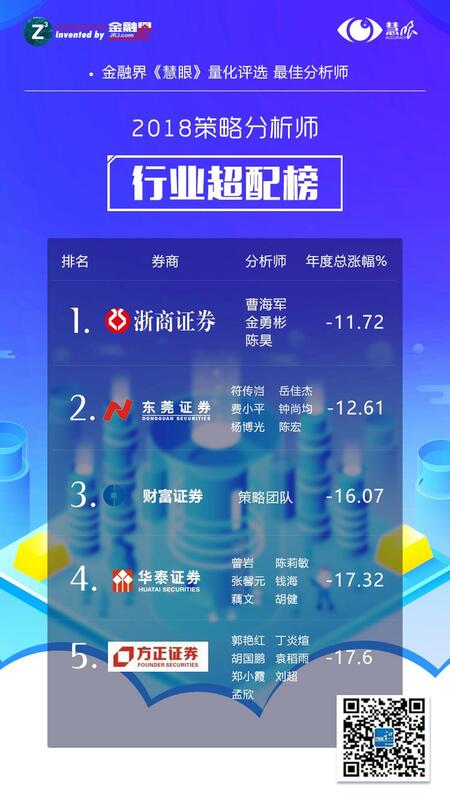 However, the cross-country of the sea, Fang Xian heroes, the financial industry "Guiyan" quantitative selection just released the list of best analysts in 2018 shows that a group of outstanding analysts significantly outperformed the main index, including many consecutive years of the list Chang Sheng General." Big data identifies true heroes. The financial industry's "Goggles" quantifies the most comprehensive mainstream brokerages. Thousands of analysts are based on open data and adopt fair rules to get the most fair rankings. The 2018 annual selection has been closed for statistics on October 31. "Goggles" industry analysts selected more than 1,000 public annual strategy reports of nearly 60 brokerages, through the long-term tracking of the buy rating portfolio, screened out the best performing industry analysts of the year. This year, the A-share market suffered a systematic decline, but there are still analysts who have made positive gains. 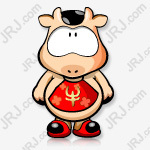 They are Xu Qifeng of Huatai Agriculture and Animal Husbandry Industry, Song Bin of Bank of China Computer Industry, and Ding Wentao of Soochow Non-Banking Industry.Shen WanhongyuanLiu Xiaoning of the building materials industry, Yu Yue of Huarong Media Industry. (Click on the text to read the original text and look back at the research report). Although many analysts in the list recorded losses, they still outperformed the main index or industry index. The "Goggles" strategist selected a total of 27 mainstream strategy teams to submit the over-provisioning industry at the beginning of each month. After a year of long-distance running, the final result was obtained. This year's data shows that the strategy team of small and medium-sized brokerages is closer to the market, and the industry that recommends super-matching is more excellent. This year, Goggles aggregated data from 2013 to 2018, and the top five analysts who entered the list several times in six years stood out. The first of the year in the award-winning strategy teamZheshang SecuritiesIn the past 4 years, 3 times on the list, another "star"Founder Securities5 times on the list in 6 years. The award-winning industry team has emerged a number of familiar faces, they areTang Jiarui of Everbright Commerce, Ding Pin of Haitong Agriculture and Animal Husbandry, Lu Ping of China Merchants Mining, Zhou Haichen of Shenwan Light Industry, Zhou Yu of CITIC Commerce, Ma Li of Soochow Textile, Zheng Dandan of Zheshang Power, Chen Haowu of Everbright Building Materials,The Pacific OceanNi Shuang of the media, Huang Lili of CITIC Chemical, Chen Jiao of Xingye Agriculture and Animal Husbandry, Wang Liping of Shenwan Textile, Tao Shugong of Minsheng Environmental Protection, Su Baoliang of Guojin Transportation, Yang Chengxiao with Tianfeng ColorThey understand the essence of the industry and are the king of the industry. The number of medals in the brokerage research institute is a bit of a joy. "Guiyan" counts the top three in 28 industries, with a total of 84 medals. 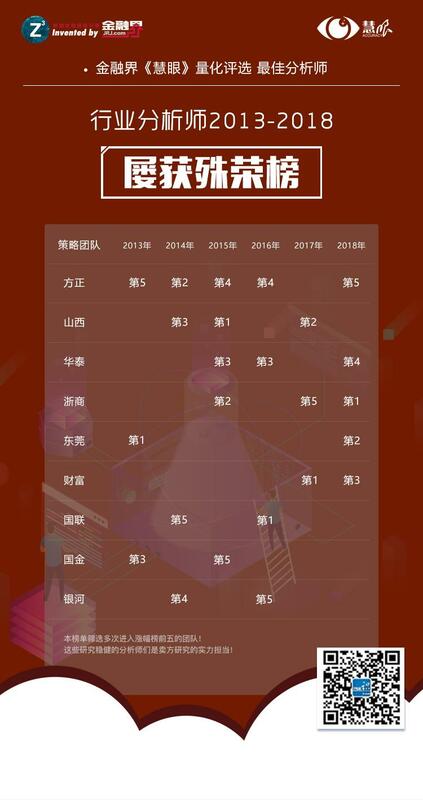 The three old brokers of CITIC, Shenwan and Zhongjin swept the top three on the list, respectively, which won 6, 5 and 5 respectively.Guotai JunanThe Institute hangs on the list of zeros. The best analysts in the financial industry, "Guiyan", rely on the financial portal of the financial portal to gather the most comprehensive mainstream brokers, thousands of industry analysts, and hundreds of strategists! The industry's exclusive quantitative selection model, open data, fair rules, fair rankings! Let strength analysts stand out and make real investment opportunities visible! Falcon Watch: Market Adjustment Where is the fire of Sugawara? Huang Binhan: December is the month that most investors are afraid of.